In stock. Order in the next 3 hours, 30 minutes and it will go out today! You show a very soft rope to your audience. By stroking the rope it becomes rigid and stands vertically with no support. 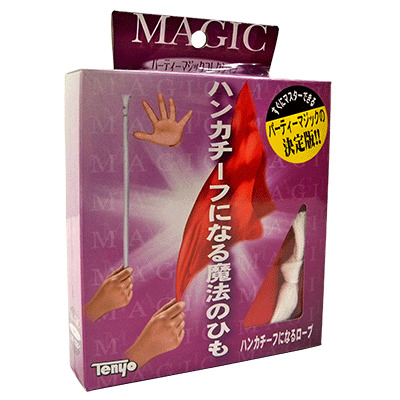 With one more stroke of the rope it magically changes to a beautiful silk handkerchief. Our apparatus for this trick is much superior to some you may have seen before. You can also perform other effects whit the rope before you do the stiffening effect.